Large Sequins Sparkle Hearts Shoe Clips. Burlesque Accessory, Queen of Hearts, Alice in Wonderland. 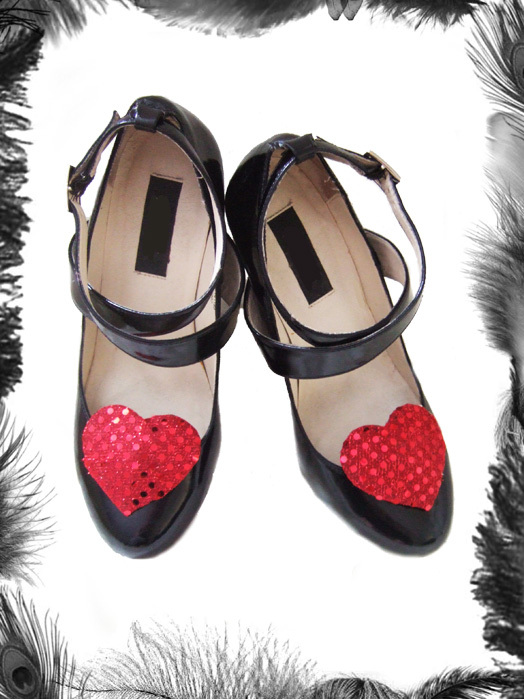 Hearts clip onto shoes with a strong metal clip.